A suicide car bomber attacked a NATO convoy in Kabul on Tuesday killing 18 people, including five US soldiers, a Canadian colonel and 12 civilians in the deadliest strike on the capital in over a year. The Taliban, which is leading a nearly nine-year insurgency against the Afghan government and its foreign backers, claimed responsibility for the bomb, having pledged a new nationwide campaign of attacks. The attacker detonated the bomb during rush hour, unleashing blood and chaos on a clogged street near parliament and on a nearby hospital run by foreigners, an army recruitment centre and the ministry of water and energy. Interior ministry spokesman Zemarai Bashary said 12 civilians were killed and 47 wounded. Most had been passing in a bus when the bomber blew up the car. Children and women were among the dead. The NATO International Security Assistance Force (ISAF) confirmed one of its convoys had been attacked and said six international soldiers -- five of them from the United States -- were killed and several others wounded. Ottowa said the sixth soldier was a 42-year-old Canadian colonel, the highest ranking Candadian to die in the conflict since 2002. The American University of Afghanistan was across the road from the bomb site and the Kabul museum was about 100 metres away. A burnt-out vehicle sat crumpled in the street and Afghan civilians, some covered in blood, were being evacuated from the site. Among them was a little girl wearing school uniform black skirt and white headscarf, who was carried out by a volunteer, an AFP photographer said. The Taliban militia are waging an increasingly deadly insurgency and attacks have increased over the past 12 months in the heavily guarded capital. President Hamid Karzai condemned the attack. "The president called the attack an act against all human and Islamic principles and deemed the perpetrators brutal terrorists, who to achieve evil goals, grieved innocent Kabulis," his office said. NATO Secretary General Anders Fogh Rasmussen "strongly" condemned the attack but said the alliance remained "committed to its mission to protect the Afghan people and to strengthen Afghanistan's ability to resist terrorism". The White House said the Taliban were offering the people of Afghanistan "only destruction". "They have so little respect for humanity they would murder Afghan civilians waiting for a bus. The United States and Afghan governments remain steadfast in our determination to build security, stability and opportunity for Afghanistan," spokesman Bill Burton said. The United Nations and European Union condemned the attack in statements released in Kabul. Later Tuesday, NATO said two of its soldiers had been killed in the south of the country, one by an improvised explosive device, the weapon of choice for Taliban insurgents, and one by small arms fire. At least 210 NATO soldiers, 130 of them from the United States, have died in the war so far this year. It has been the deadliest January to May period since a US-led invasion brought down the Taliban regime in 2001. The United States and NATO allies are deploying thousands of extra troops in the war, with the overall number due to peak at 150,000 by August, part of a new strategy designed to beat back the Taliban. Washington believes this "surge" can wrest back the initiative in key population centres and allow US forces to start withdrawing from the unpopular and costly conflict next year. Tuesday's bombing was the first major attack in Kabul since February 26, when Taliban suicide bombers targeted guesthouses, killing 16 people including Westerners and Indians. That was the deadliest attack in the Afghan capital since the Taliban launched suicide bomb and gun attacks on three Afghan government buildings, killing at least 26 people in February 2009. Zabihullah Mujahed, a Taliban spokesman, telephoned AFP from an undisclosed location to claim responsibility: "The attack, which was a suicide car bomb, was carried out by one of our mujahedeen", or holy warriors, he said. The Taliban had promised a new nationwide campaign of attacks from May 10 targeting diplomats, members of the Afghan parliament, foreign contractors and the 130,000-strong international military force. 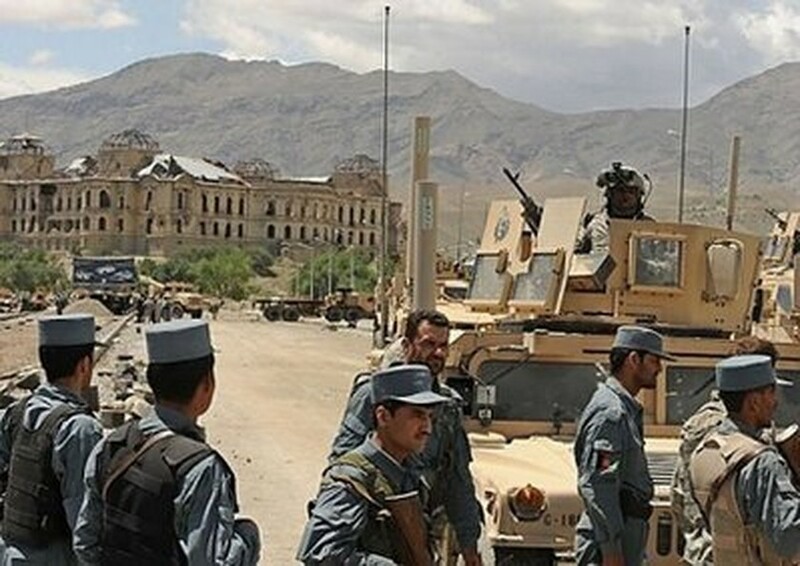 Also on Tuesday, in the eastern province of Paktia, a suicide bomber blew himself up outside a local administration headquarters after police opened fire on him, the interior ministry said. A police officer was killed, it said. Two police officers and two soldiers were killed in separate Taliban-style roadside bombings in the southern province of Helmand, the interior and defence ministries said. The attacks were blamed on Taliban.